The first Altra shoes hit the market in 2011, and since then the company has developed a loyal following and signed several high-profile elite runners. In 2018 alone, the brand has signed both Boston 2018 runner-up Sarah Sellers and two-time Olympian and World Championship silver medallist Kara Goucher. The Escalante is one of the brand’s road trainers. Altra prides itself on the “difference of three,” and this shoe delivers on that promise by incorporating the Footshape toebox, Fit4Her technology and the cushioned ZeroDrop. The toebox is spacious, which encourages optimal alignment and better form. As a runner who prefers space in the front of their shoe, Altra worked well for me. However, one of my main concerns was that with a little extra space in the front, my heel might move around in the back, but thanks to the special design of their women’s shoes, this wasn’t the case. As with all Altra women’s shoes, the footbed is made with the female foot in mind. This Fit4Her customization accounts for the typically narrower heel and longer arch of the female foot. The men’s version of the shoe is built on Altra’s performance last, and obviously doesn’t incorporate the Fit4Her technology. As with all other Altra shoes, the Escalante features a zero drop, meaning that the heel and toe are level. This is said to promote a natural stride. If you’re prone to achilles or calf issues, you will want to start out by rotating this shoe with other higher-drop shoes. 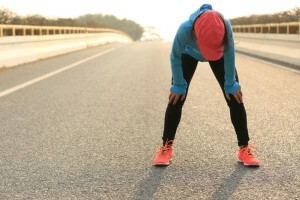 A low- to zero-drop shoe can irritate the lower limbs in those not accustomed to it (most shoes have a drop between 6 and 12mm). Once I became accustomed to the feeling, I found myself landing mid-foot and moving smoothly through my workout. The Altra Escalante features one of the most comfortable uppers that I’ve worn. Their engineered knit technology hugged my foot without restricting or rubbing anywhere. It’s also highly breathable, so for those running indoors or in warmer climates, this is a huge plus. The knit is a great option for those who are blister prone. 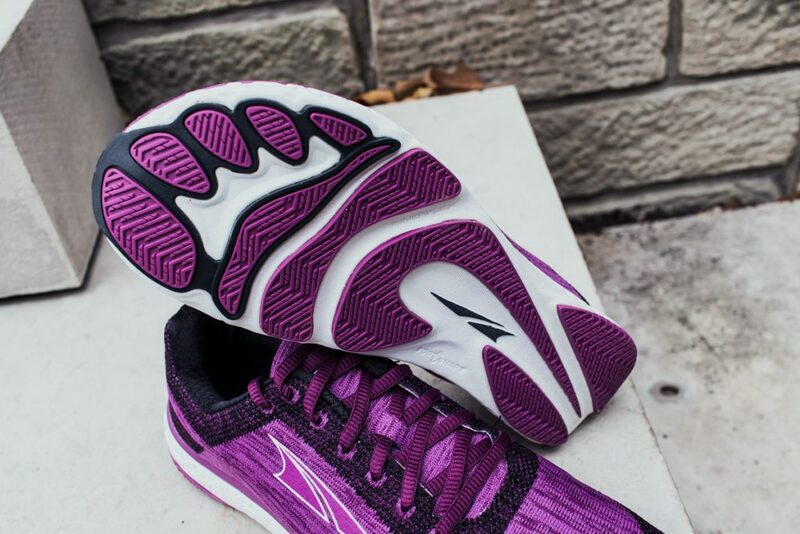 Altra Ego is the company’s dual-nature midsole that is responsive, yet maintains a cushioned feel. The cushioning runs on the softer side, making it ideal for those who like a plush ride when doing a hard workout or long run. This shoe is quite light and moves well, making it a candidate for a speed shoe, but for those interested in something even lighter and faster, consider trying the Escalante Racer. The outsole of the Escalante maps the bones and tendons in the foot, which promotes natural movement. This shoe does not limit or control the way your foot moves, and the outsole is designed to help facilitate that.